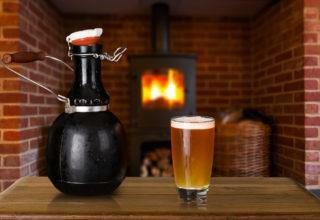 Are you thinking about getting into craft or home brewing? There’s a good chance that you’ll receive a lot of unsolicited advice about how you should make your beer. Some of that advice can be good. 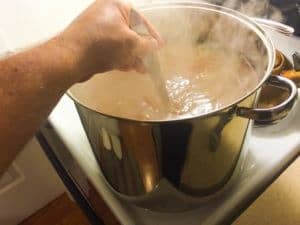 In many instances, however, beginning home brewers mean well, but don’t really have the experience to lend any meaningful advice to another beginner. You could purchase books or experiment on your own if you wish. That’s always fun and increases personal expertise. Here’s a better solution: learn from the mistakes of others. Here are some secrets that can get you off and running. #1. Buy the biggest kettle you can afford. Don’t settle for a cheap kettle unless you’re forced to do so. Small kettles increase the likelihood that you’ll experience a boilover. Look for a minimum 7.5-gallon kettle to get started so your brewing doesn’t have to be interrupted. #2. You need a wort chiller. Your wort is the foundation of flavor for your home brewing. You’re going to need to cool it down right away to prevent bacteria formation from occurring. You could put the wort into an ice bath in your bathtub, but it’ll take about an hour and the price of ice can be an issue. With a good wort chiller, you can chill 5 gallons of product in less than 20 minutes. #3. Be smart about your yeast. Good yeast makes better beer. Creating a yeast starter will keep you in full control of your final product. You can use dry yeast packs or other types of pre-made starters, but nothing improves your home brew like having high-quality foundational ingredients. #4. Use your sleeping bags. Forget the mash tun. You can mash within the kettle, but remember to take the heat off the product. Then wrap the kettle in a sleeping bag. It will help to hold the heat in for up to an hour. You can check every 15 minutes to see how things are going and add some boiling water if the temperature seems too low. #5. Prepare your stove for the journey. If you’ve ever boiled anything over on your stovetop, then you know how much of a hassle it can be to clean it. Take the burners and attachments off the stovetop and then place a layer of foil over it. Make sure to leave space for your burners to be added back on an electric stove or there’s enough room for the igniter on a gas stove. Then, if you experience a boilover, cleaning up is a breeze. #6. Maximize the use of your dishwasher. One of the fastest and easiest ways to bottle your home brew is to use the open lid of your dishwasher. Place the bucket on the counter above the appliance and then fill your bottles below on the open dishwasher lid. If you make a mess, it goes down the dishwasher drain. Craft and home brewing can be a lot of fun. 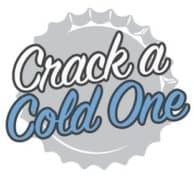 When you take advantage of the secrets and tricks developed by other brewers over time, any beginner can get up and running in no time at all. Before you leave: Make sure you have a place to store your beer. 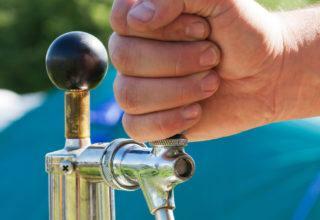 One of the best mini kegerators is perfect for first-time brewers.